Research in my laboratory investigates the brain processes underlying the effects of drugs and stress hormones on memory storage. 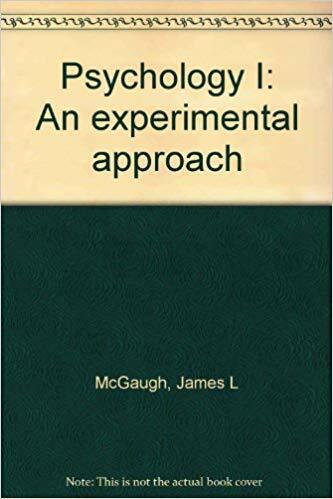 I began my studies of neurochemical influences on memory storage when I was a graduate student. In early research I found that, in rats, stimulant drugs enhanced memory when they were administered immediately after training. These findings suggested that the drugs acted to stimulate memory consolidation. Subsequent findings from my laboratory that post-training administration of stress hormones released by training experiences enhance memory consolidation indicate that activation of endogenous hormone systems plays an important role in modulating the storage of recently acquired information. 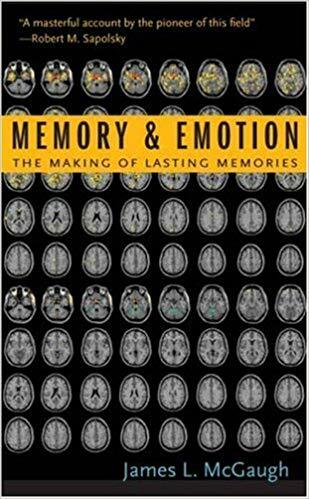 In recent years I have taken an interest in human memory, and in particular in Highly Superior Autobiographical Memory. Is Superior Memory Really a Form of OCD? Quick: What did you eat for dinner yesterday? What about this past Saturday? What about the first Saturday in February? Or the first Saturday of February 2006? Correctly recalling a meal from a few days ago doesn’t really point to any sort of remarkable skill. But recalling a meal from a decade and change ago may put you in the company of people with a condition James McGaugh, a psychologist at the University of California, Irvine, calls “highly superior autobiographical memory” (HSAM), defined by the ability to remember everything that happened on every day of your life. Article by Cari Romm on Science of Us. Click here to continue reading. Memory is the glue that binds our mental lives. Without it, we’d be prisoners of the present, unable to use the lessons of the past to change our future. From our first kiss to where we put our keys, memory represents who we are and how we learn and navigate the world. But how does it work? Neuroscientists using cutting- edge techniques are exploring the precise molecular mechanisms of memory. By studying a range of individuals ranging—from an 11-year-old whiz-kid who remembers every detail of his life to a woman who had memories implanted— scientists have uncovered a provocative idea. 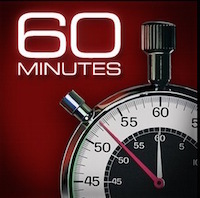 For much of human history, memory has been seen as a tape recorder that faithfully registers information and replays intact. But now, researchers are discovering that memory is far more malleable, always being written and rewritten, not just by us but by others. We are discovering the precise mechanisms that can explain and even control our memories. The question is—are we ready? Episode first aired on Feb 10, 2016 and is now available on DVD. Lecture delivered on October 14, 2015. Lecture delivered on November 2014. 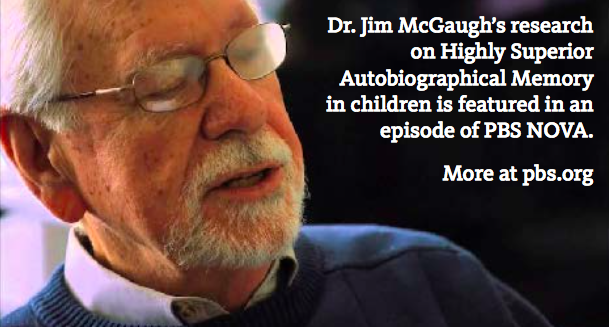 "James McGaugh, research professor of neurobiology and behavior at UCI, has spent much of his career researching the influence of emotional arousal in creating lasting memories and the brain processes that underlie them. Though the early decades of his research focused almost exclusively on lab mice, his world was turned upside down in the spring of 2000 when a young woman contacted him saying she had a 'memory problem.' "
JR Minkel asked neurobiologist James McGaugh, who studies learning and memory, to explain what kinds of memory erasure are currently possible and just how close scientists are to controlling recall. 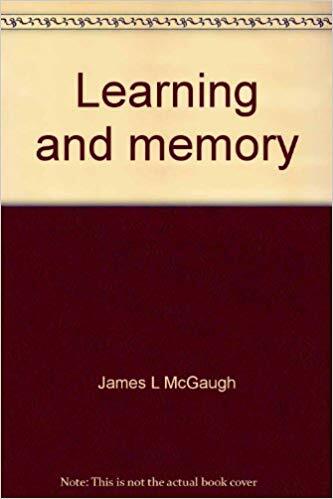 Drawing on fascinating research and case studies, James McGaugh, a distinguished neuroscientist, reveals that the key to understanding how memories are created may well be understanding how they are lost. He shows that lasting memories are not stored instantly. Why the delay? The author explains how the slow consolidation of memory has important adaptive consequences. It allows physiological processes activated by experiences to regulate the strength of the memory of the experiences. Emotionally arousing experiences induce the release of stress hormones, which act on the brain to influence the consolidation of our memories of recent experience. These findings have important implications for the controversial issues of post–traumatic stress disorder and repressed memory syndrome. 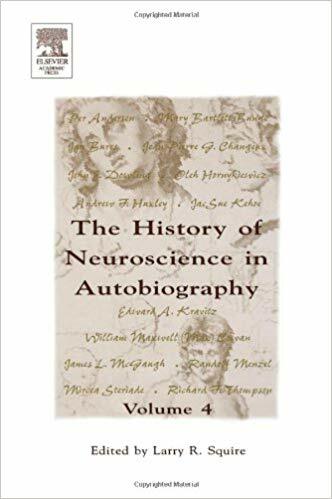 Dr. McGaugh wrote a piece in this collection of autobiographical essays by distinguished senior neuroscientists in which they recount the events that shaped their lives and identify the mentors and colleagues who inspired them. The narratives provides a human dimension to the world of scientific research.